Cliff Sims, the former White House communications assistant who wrote an internal account of life working for President Trump, is suing the president in his official capacity, claiming that he used his campaign organization as a "clipping" to improperly search retribution against former employees and Prevent them from invoking their First Amendment rights. Mr. Sims was an assistant to the White House from the beginning of the administration. But it was the organization of the campaign that filed an arbitration claim against him last week, accusing him of violating the confidentiality agreement he signed with him during the 2016 presidential race with the publication of his book, "Viper Team," the last month. The White House had dozens of people sign such agreements at the beginning of the president's term. But those agreements are widely viewed as probably inapplicable. In the lawsuit, Mr. Sims says he does not remember if he signed one when he arrived at the White House. Mr. Sims's lawsuit alleges that Mr. Trump "is trying to impose civil liability against Mr. Sims through the application of NDA that apply to the information that Mr. Sims learned only during his federal service." Trump was slow to react to the "Viper Team." But the president became increasingly angered by the book, which confirmed much of the real-time reports about the chaos in the White House and that included some less than flattering anecdotes about the president. "A low-level employee I barely knew, named Cliff Sims, wrote another boring book based on invented stories and fiction." Mr. Trump tweeted at a point. "He pretended to be an insider when he was really just a gofer." The lawsuit notes that Mr. Trump appears to be selective in enforcing non-disclosure agreements. 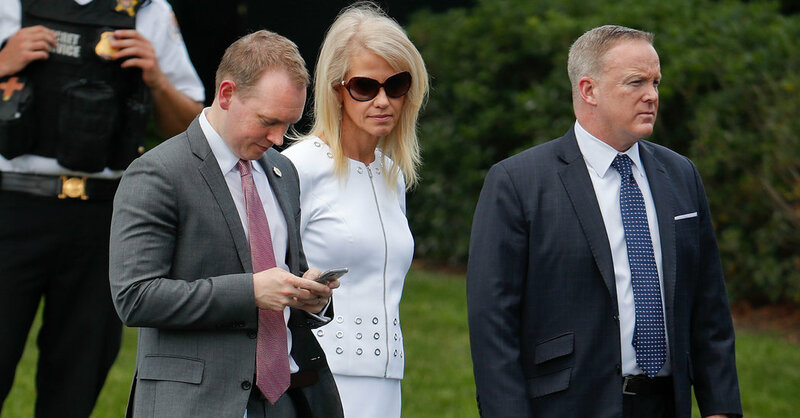 For example, he says, he tried to impose it on Omarosa Manigault Newman, whose book also infuriated him, but did not do so against Sean Spicer, or Corey Lewandowski and David Bossie, three former advisers who wrote books that the president considered flattering. and therefore not objectionable. The lawsuit says that Mr. Trump has made it clear in his public comments that he has a "disdain for the so-called" counting books "written by former federal officials and their desire to apply the NDAs to those who provide services in the White House". Mr. Trump has repeatedly used the threat of arbitration in confidentiality agreements to silence former assistants. It has not always been successful: a former assistant, Sam Nunberg, won a counterclaim when Trump tried to enforce the agreement during the 2016 campaign and the dispute was resolved. The lawsuit, filed in the Federal District Court in Washington on Monday by Mark Zaid, a lawyer with experience in legal fights with the federal government, is the first of a former employee to claim that Mr. Trump is trying to circumvent the practices standard on former employees who use information not classified in their books, and seek retribution that would not otherwise be available to them through the federal government. "The demand for Trump's campaign for arbitration is nothing more than a subterfuge for the actions of the" federal government, "the lawsuit is alleged, and" made under the express authorization and instruction, and certainly with the blessing of President Trump. " "
He continues: "These actions qualify sufficiently and constructively as state action for the purposes of the First Amendment jurisdictional authority." He adds that the federal government has "violated Mr. Sims' First Amendment rights as a former federal employee and has acted against public policy interests." In a statement, Mr. Sims's publisher, St. Martin's Press, said he supported the suit. "When presidents or their political campaigns try to silence a voice, it is especially important that we maintain our firm commitment to freedom of expression," the statement says. "Recent attempts to selectively prevent former government employees from speaking and writing about their experience as public officials demand our scrutiny, and illustrate how essential the First Amendment is for the preservation of democracy."